So this requires some explanation. Urban Axes is an indoor competitive ax-throwing venue (the first one in the nation) located in North Philly. An evening there is like going bowling, except with axes. Each throwing lane also has easy access to a refrigerator to hold your BYO six-pack. 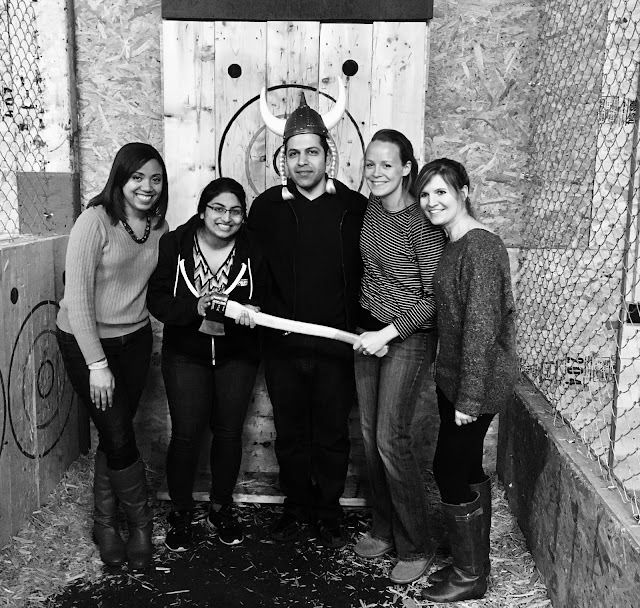 Recently, Penn Neurology residents from the class of 2018 and 2019 (along with two current prelims who will soon join the class of 2020) got together to hurl axes down a straw-filled alley to strike a plywood target. We're less sure about the Viking hat and pigtails.